It is understandable, then, that the U.S. Court of Appeals for the Federal Circuit—the federal appellate court responsible for all patent law appeals—made the entire industry gasp with its Carnegie Mellon University v. Marvell decision in August. In its ruling, the court suggested that a chip merely designed in the United States may infringe a U.S. patent, even if the contract is inked overseas and the chip is made, delivered and used in another country, never once touching American soil. If this suggestion becomes law, the impact would be seismic. Though it offered this suggestion, the court did not actually decide whether Marvell’s international sales infringed Carnegie Mellon’s U.S. patents, so all is not yet lost. Rather, all is open for debate. Title 35 of the United States Code says, “whoever without authority makes, uses … or sells … within the United States … infringes the patent.” 35 U.S.C. § 271(a). The court seemed content that chips cannot infringe U.S. patents if they were internationally manufactured, shipped and used. Whether those same chips are considered “sold” in the United States, however, was not quite so simple a question for the court. The court’s uncertainty comes as a shock. Until now, most of the patent world had been quite certain that chips made, shipped and used outside the United States are very much extraterritorial. The Federal Circuit was not always so unsure of the boundaries of extraterritoriality when it came to semiconductors. In fact, it used to be relatively straight-forward. In Power Integrations v. Fairchild Semiconductor (2013), for example, the Federal Circuit decided that the patent owner could not recover lost profits based on the defendant’s foreign sales of chips made and shipped abroad, even assuming that the foreign sales were “the direct, foreseeable result of Fairchild’s domestic infringement.” There, the court stated, “foreign exploitation of a patented invention ... is not infringement at all.” Similarly, in Halo Electronics v. Pulse Electronics (2014), the Federal Circuit found that the defendant met regularly with Cisco design engineers in the U.S., sent product samples to Cisco for pre-approval in the U.S., attended sales meetings with customers in the U.S. and provided post-sale support for products in the U.S.. The court decided that this did not constitute a sale within the U.S., because the products were “manufactured, ordered, invoiced, shipped, and delivered abroad.” In the most recent decision, however, the court seemed to be going in a different direction. In Carnegie Mellon, the Federal Circuit reiterated some well-known concepts on the location of a sale, e.g. the place of the legal commitment to buy and sell, the place of delivery and the place of ordering. But the court further stated that “[t]he standards for determining where a sale may be said to occur do not pinpoint a single, universally applicable fact that determines the answer, and it is not even settled whether a sale can have more than one location.” The court went on to broadly suggest that a sale may occur at the place where substantial activities of the sales transactions occurred. This “substantial activities” language seems to embody the court’s recent uncertainty on extraterritoriality. As part of that uncertainty, the court suggested that the design of a chip could be part of the chip’s sales cycle and, therefore, may be considered “substantial activity,” especially if the activity is custom design, or a “design win,” something the court considered more closely integrated with the sales cycle. According to Quality-Adjusted Price Measurement: A New Approach With Evidence from Semiconductors, custom design wins may account for as much as 25 percent of the semiconductor industry, making the court’s suggestion an expensive one. So what, exactly, does the Federal Circuit consider a design win? According to the court, a design win occurs when a designer’s custom chip is purchased and enters mass production. Generally a design win results in exclusive use of the customized chip for a certain period. To secure a design win, the design is tailored to the customer’s product. This typically encompasses a lengthy sales cycle involving extensive joint work over several years, which may include designing, simulating, testing, evaluating and qualifying the chips, and likely providing samples. With all these considerations, a design win may involve a bevy of new steps, factors and locations. So the Federal Circuit is now fascinated with design wins. What does that mean? It means products and transactions previously thought to be extraterritorial, and therefore beyond the reach of U.S. patents, are vulnerable. The court’s discussion of what activity constitutes a design win, however, may provide clues as to how a semiconductor company might shift (from a legal standpoint) design wins outside the United States, even if some portion of the design is done in the United States. For each design win factor located outside the United States, the sale of the chip may be more likely to be considered extraterritorial, and therefore outside the scope of United States patents. Simulations Perform system simulations and post-layout simulations for custom designs on overseas machines, and provide waveforms from the system simulations to overseas customers, even if unit and subsystem simulations occur in the United States and/or the test software for the simulations is developed in the United States. Manufacture/Marking Relocate manufacturing of sample custom products to foreign foundries, and move or outsource the sample marking process overseas. Storage Store samples (even temporarily) overseas before they ultimately reach the foreign customer. This way, no product ships directly from the United States. Program/Configure Relocate the programming or configuration of sample devices overseas. Test Move the testing process, or at least a component of the testing process (e.g. burn-in or ESD), overseas. Even if the protocol or software is developed in the United States, an oven or lab in another country can shift a valuable component of the sales cycle. Currently, there is no timetable as to when these questions about U.S. design activity and U.S. patents may be conclusively resolved. In the meantime, your authors, and an entire industry, will be watching and waiting. 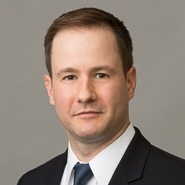 Benjamin T. Horton is a partner at Marshall, Gerstein & Borun and chair of it IP litigation group. He is a member of the Northern District of Illinois trial bar and leads complex litigation in district courts across the country. Horton also has a degree in electrical engineering, and before law school worked in the semiconductor industry. Cameron B. Pick is an associate at the firm. He counsels clients on high tech patent portfolios, including semiconductor technologies, and litigates disputes in federal court. He also has a degree in electrical engineering and worked at the United States Patent Office before getting his law degree. DISCLAIMER: The information contained in this article is for informational purposes only and is not legal advice or a substitute for obtaining legal advice from an attorney. Views expressed are those of the author and are not to be attributed to the Firm or any of its former, present or future clients.